My beloved, departed Daddy who lived till old age, was one of the few people I've ever known who served his country in both the U.S. Army and Navy. So in his memory and to honor every living veteran, I could not be more pleased to share some great free Veteran's Day giveaways for both the more than 22 million U.S. veterans alive today, as well as the over 1.3 million active military serving our country both domestically and abroad. FTC Disclosure: I am not receiving payment or compensation associated with any organization mentioned in this post. See complete FTC disclosure information that appears at the bottom of MommyBlogExpert's main page and at the bottom of every individual post on this blog, including this one. Lots of great to honor Veterans. Thank you for sharing this list! Thanks for this awesome list. My Dad is a Vietnam Vet, he will appreciate this! 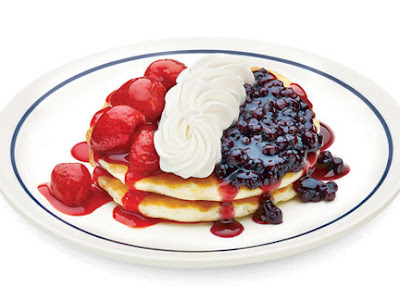 I think it is great that so many places offer freebies on veterans day. It would nice if more would also join in. It's wonderful to know so many places are recognizing the service of our veterans and making it a special day for them. Those pancakes look so festive and yummy. I love it that all of these companies are offering free deals to our country's Veterans. They certainly deserve a BIG thank you today and every day. 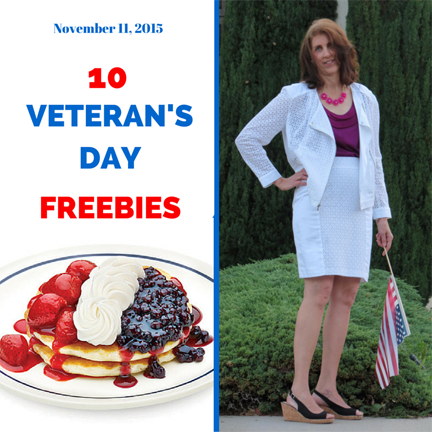 My dad is an Air Force veteran I love that businesses offer freebies for veterans on veterans day. I didn't know about the hair cut one. What a great idea to thank our heroes. It's so nice when a lot of companies participate in this program. I love that these companies are recognizing our vets! They deserve so much recognition not just today, but every day!